This administration anchored its policy outlook on three main thrusts, including security, job creation through diversification, and anticorruption, yet all around us are signs of retrogression. “Nothing indicts the current government greater than its failure in one key performance area that ought to be its strength: security. “Despite recent setbacks, we acknowledge the gains in the war against Boko Haram, but highly disturbing is the mayhem being continually unleashed by herdsmen on communities in different states across the country, including Benue, Taraba, Plateau, Adamawa, Kaduna, Enugu, Edo and Ogun states, leaving trails of weeping and wailing. The recent killings in Benue State are akin to the last straw that is set to break the camel’s back. “The ineffectiveness of the anti-corruption war is seen in the loss of crucial corruption cases. “These losses are in addition to bizarre developments such as the failure of the government to confirm a substantive Chairman for the Economic and Financial Crimes Commission (EFCC), despite the fact that the same political party controls both the executive and the legislature. “Not only has the government failed to stop these killings across the country, it has done so against the backdrop of conspiratorial silence, choosing rather to label such attacks “an issue of communal misunderstanding”, as the Inspector- General of Police recently did in respect of the Benue attacks, it has treated the menace with kid gloves even after the Global Terrorism Index 2015 described “militant” herdsmen as “the fourth most deadly group of 2014”. Worse still, some of these killings have reportedly been carried out in collusion with the military. “Recently, the Secretary to the Adamawa State Government, Umar Bindir, justified the bearing of arms by the herdsmen, but failed to tell where the herdsmen get their guns from and with which government agency these guns are registered. “Mr. President, in his New Year address to the nation, did not consider the menace or the pain of victims of previous attacks worth a mention in his address,” he said. Proffering solution to the current impasse in the country, Bakare said what Nigeria requires now is not elections, but a renegotiation of her union through restructuring. “The election of June 12, what did it produce? Is it election we need now or to restructure our country? If you don’t want to develop, no problem but let others develop. We need to restructure, an election every four years has become a colossal waste to Nigeria,” he noted. Calling to question the New Year address of President Buhari on restructuring, Bakare said the president’s position has further alienated his government from the voice of reason in relation to the call to restructure Nigeria. “I totally agree with Mr. President that we need process reforms; otherwise, we would not be appointing dead men to head parastatals, but can process reforms replace foundational structural reforms? Never. “Therefore, I say to those who have the power to take the decisions and actions necessary to end these atrocities, especially by restructuring the nation, but have failed to do so for political gains, that they are attempting to establish a city by iniquity and there are dire consequences. “You either restructure the country or get out. Leadership is by hard work and not by wearing babanriga. The current edifice of state has become a deathtrap. “A friend speaks truth to his friend. What I have said in the open, I have said in the secret. I am not a coward. 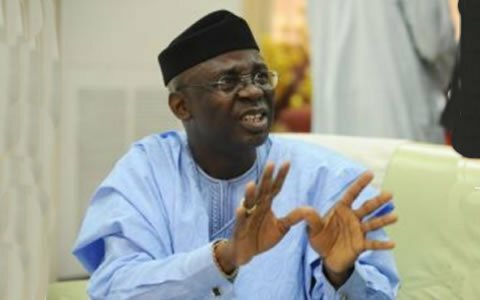 “I have advised him severally, last year alone, I advised him 18 times.” Bakare stated that in decent societies, the government would have been shown the way out on the Benue killings, explaining that: “Look at what happened to IPOB, they mobilized heavily, both military and air force to go because of a man that is not killing anybody, but just saying there will be no election and peace. “This is where people are literally being murdered and nothing was done. That is not justice. What happened to those 70 people is a sad tale. In fact, in decent societies, such government will be shown the way out.” “The wind of change should blow any government that is not taking care of the welfare and security of the people away at anytime and anywhere.